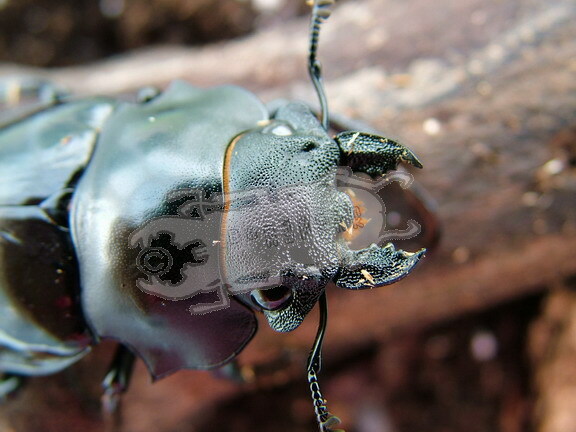 I have kept Odontolabis bellicosa from Indonesia and found it a rather easy to breed species. 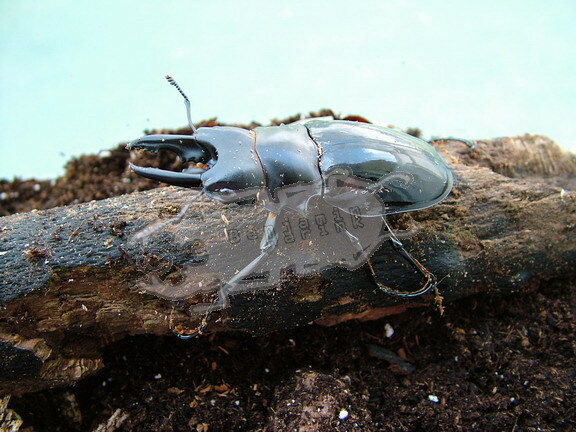 Odontolabis normally make for a good beginners choice. Of course there are some difficult to breed species, but the major challenge in breeding Odontolabis normally lays in achieving telodont males rather than just reproducing the species. 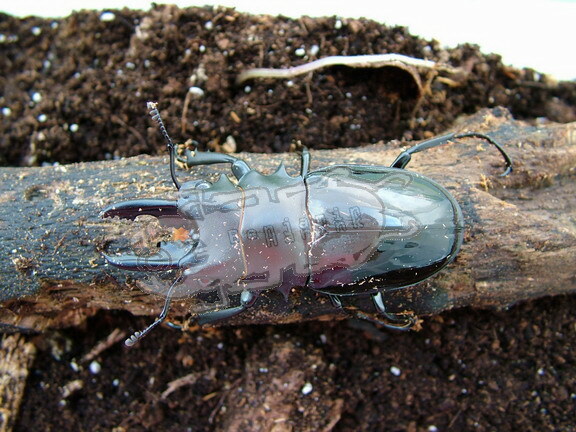 Like many Odontolabis species the females will lay their eggs into fine substrate next to wood pieces. 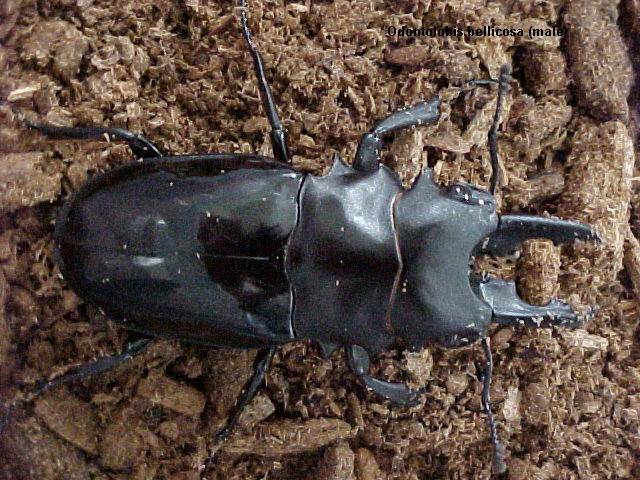 I found Odontolabis in general rather easy to breed. It is even possible to raise the larvae on a leaf litter substrate with only a minimal part of whit rotten wood. Of course, to reach major males in breeding you would need a fermented mat and additives. It is quite interesting that, given enough space, Odontolabis larvae can be kept together and seem to communicate by stridulation. Each larva will build its own cave system and stay inside those confines. Some larva however do invade the caves of the others and eat them. I believe that these will become major males in the wild. 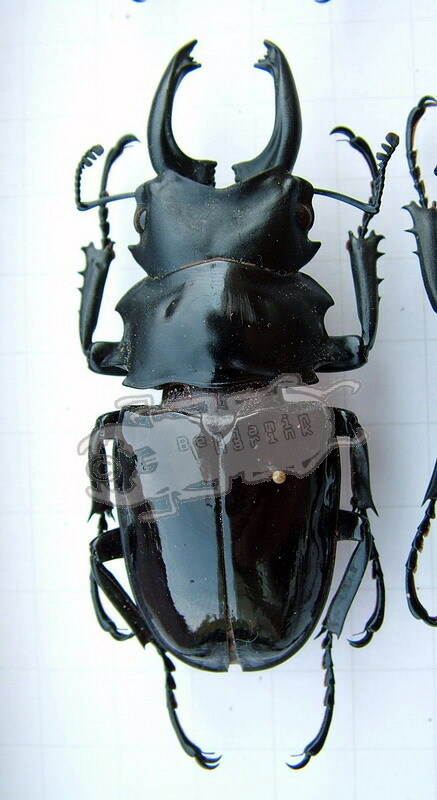 Odontolabis bellicosa male, Indonesia © C. Cattau Jr.